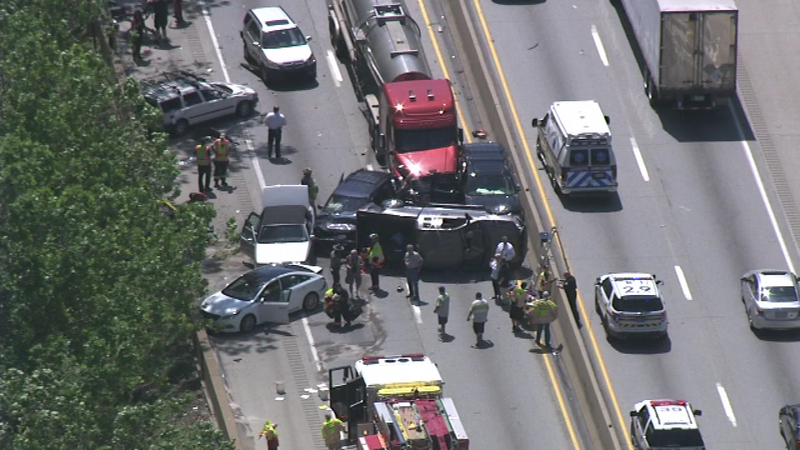 Rescuers on the scene of a multi-vehicle crash on the Schuylkill Expressway. 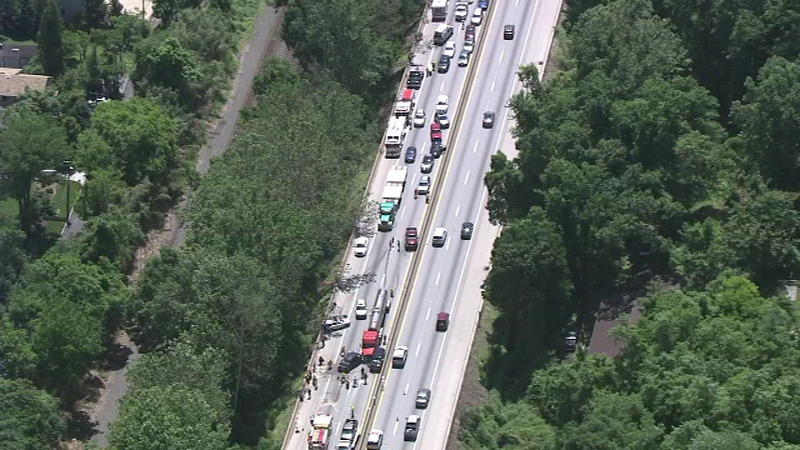 LOWER MERION TWP., Pa. (WPVI) -- Police say five people were injured in a 10-vehicle crash on the Schuylkill Expressway (I-76) on Monday morning in Lower Merion Township. 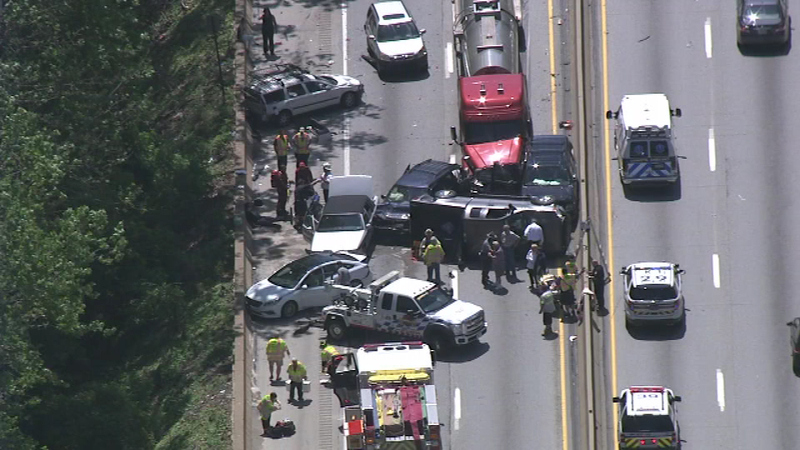 None of the injuries were considered to be life-threatening. 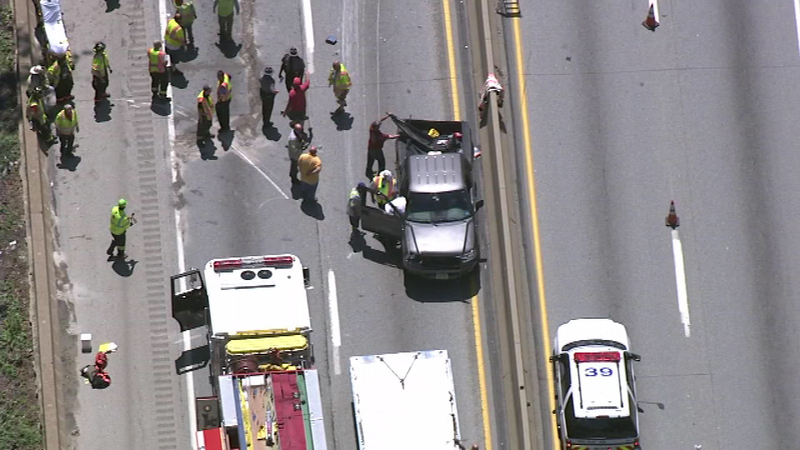 The crash happened around 11 a.m. in the westbound lanes of the highway at the Conshohocken Curve. 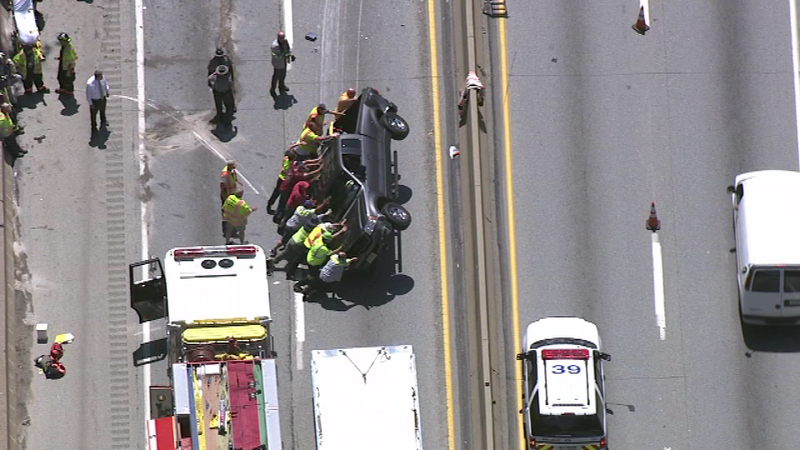 The view from Chopper 6 HD showed a pickup truck flipped onto its side in front of a tractor trailer. 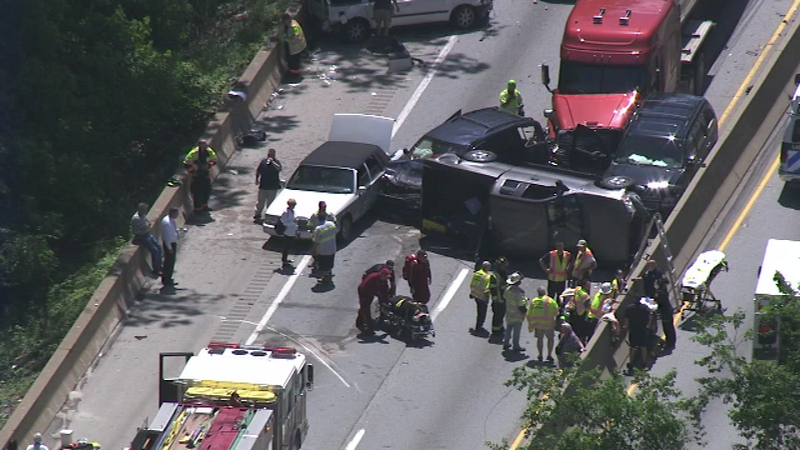 A multi-vehicle crash shut down I-76 West near the Conshohocken Curve Monday. 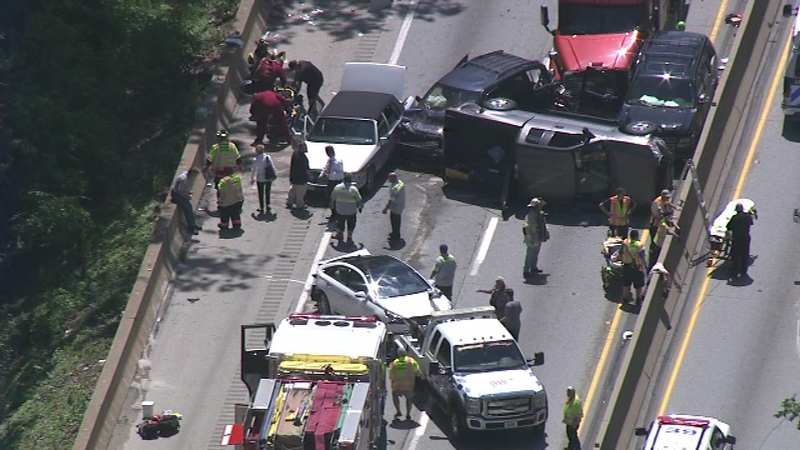 A number of other damaged cars were scattered around the scene. 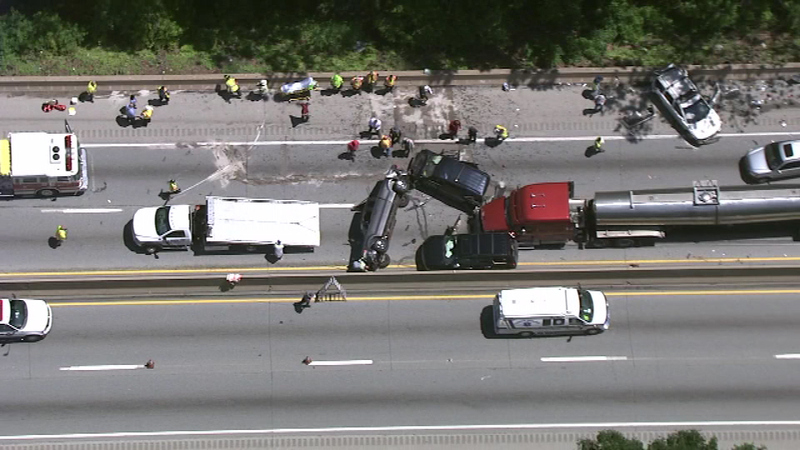 For nearly two hours, both westbound lanes and one eastbound lane were closed. 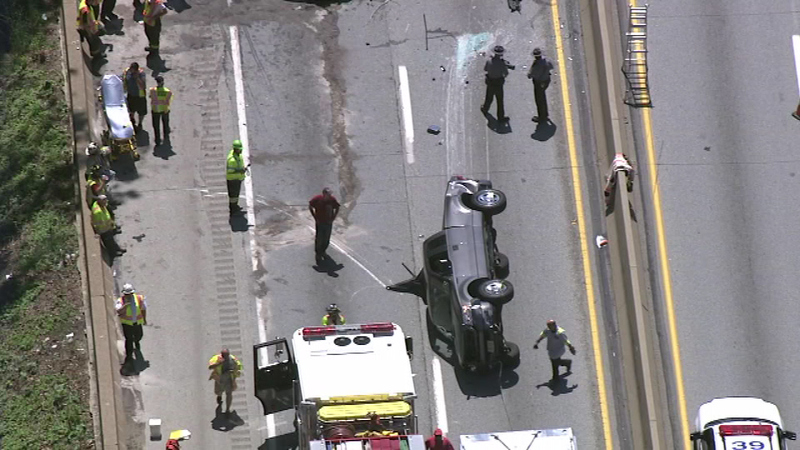 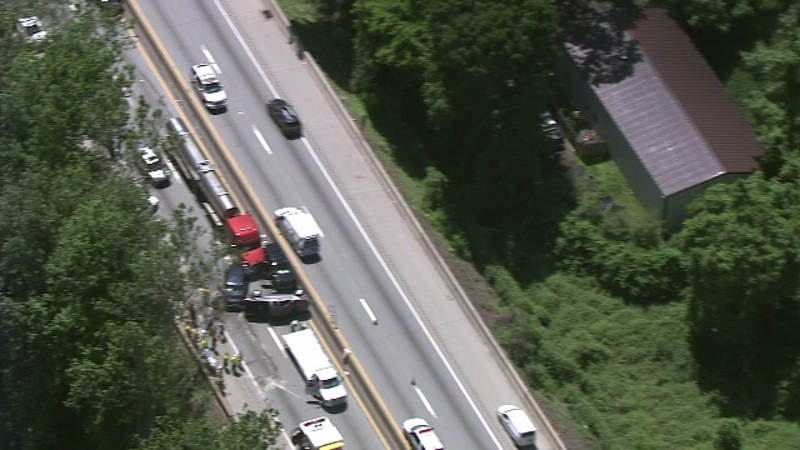 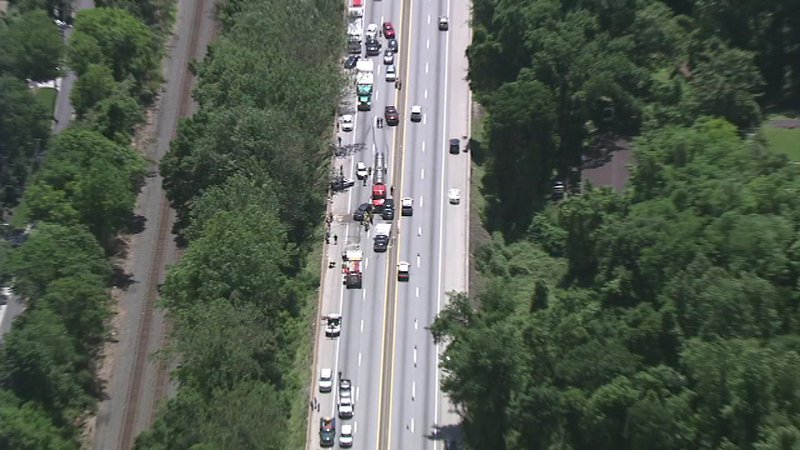 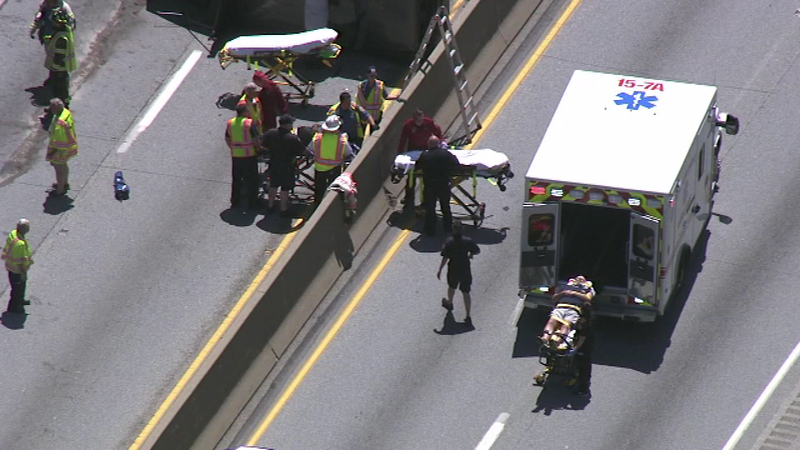 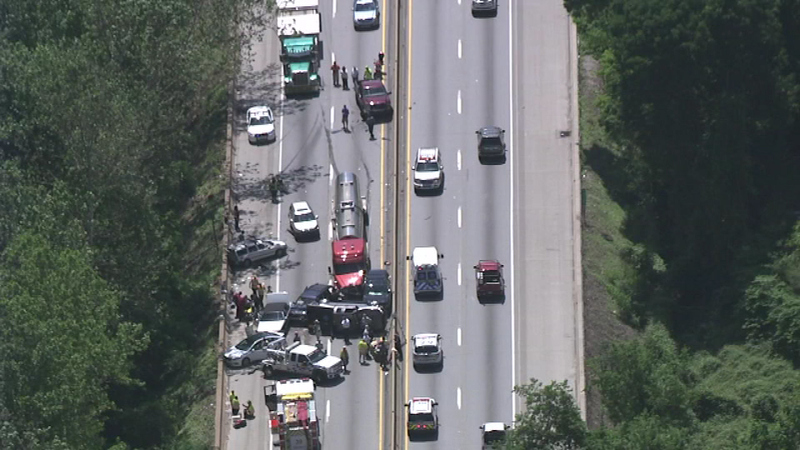 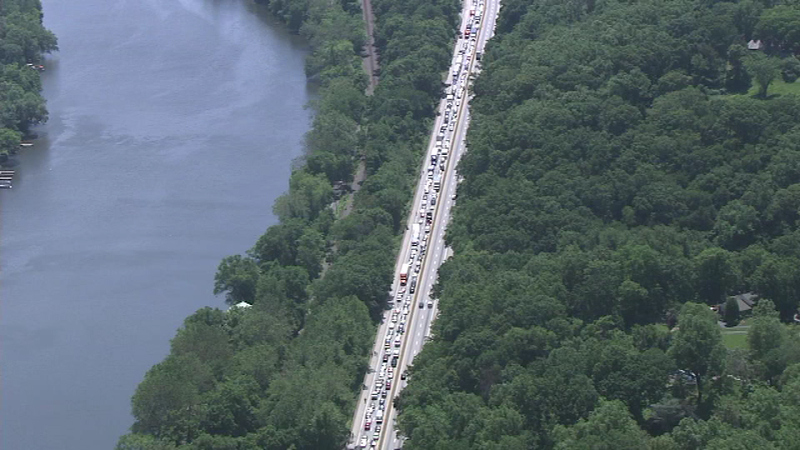 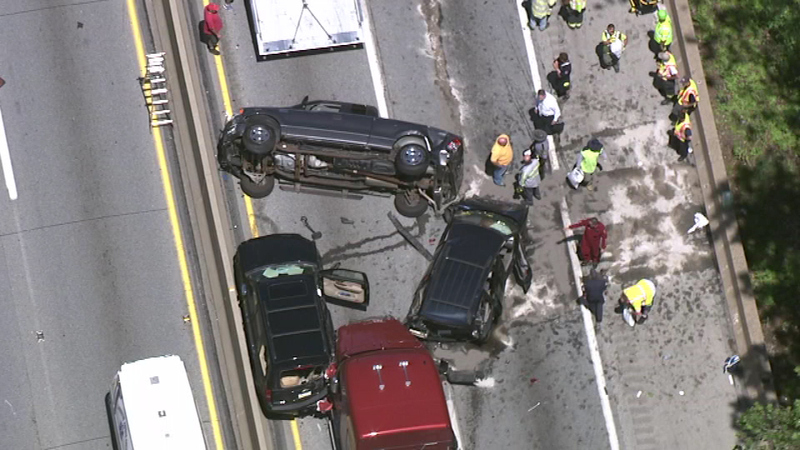 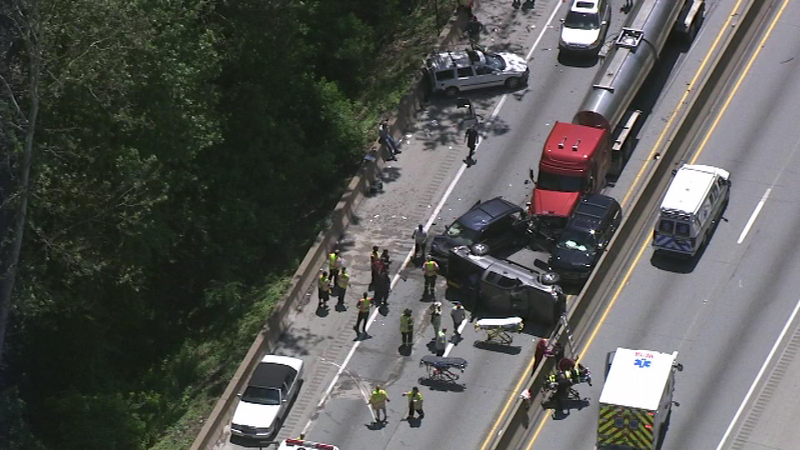 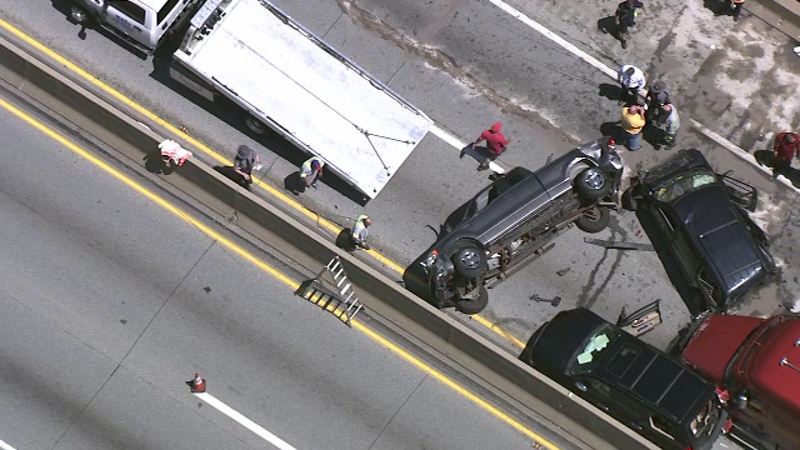 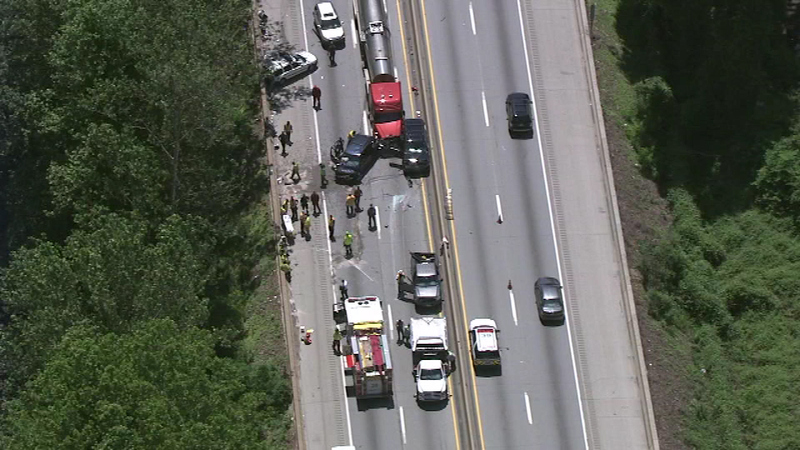 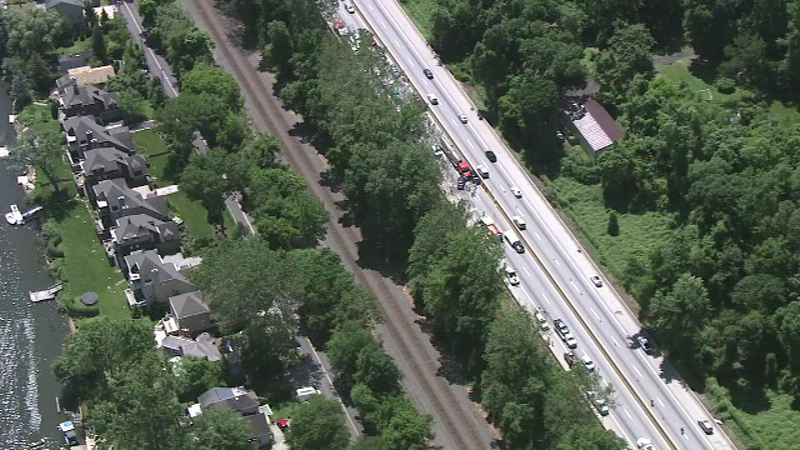 Chopper 6 HD was over a multi-vehicle crash on the westbound Schuylkill Expressway near the Conshohocken Curve. 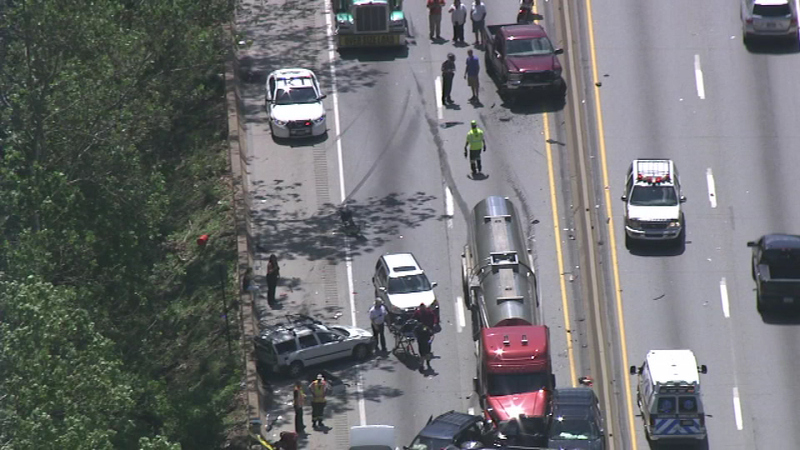 The crash scene was cleared by 1 p.m.